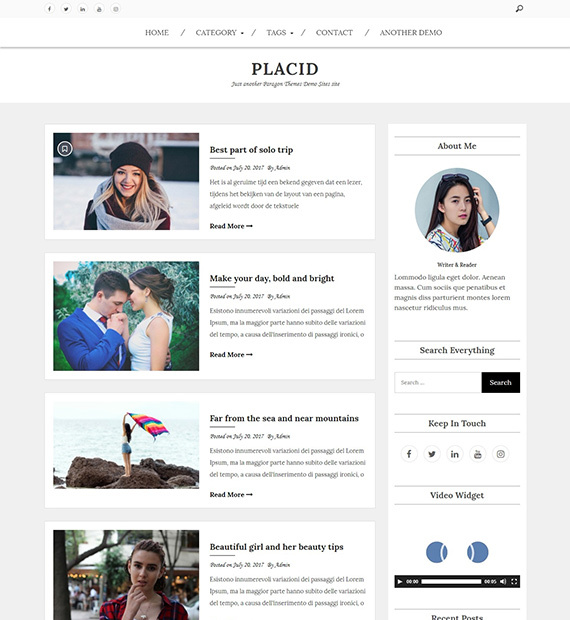 For anyone who is looking for a WordPress blog theme with clean design and cutting-edge functionalities, then Placid can be one of the best options. This theme includes author, advertisement and social widget which makes it even more suitable for your blog as well as magazine website. Moreover, it offers you with copyright, meta and sidebar options. Furthermore, it is also cross-browser compatible. Its responsive layout and lightweight design is just the icing on the cake. Best of all, it offers you with multiple unique demos.